You are at:Home»Posts Tagged "Marmozets"
Not only did we chat about their ongoing tour and upcoming album, but there was also some solid Muse, Stranger Things, and Abba fangirling. 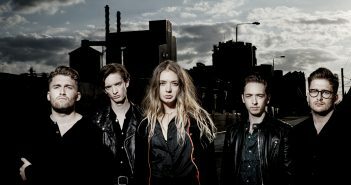 Writer Jed Wareham reviews the Marmozets’ first Bournemouth gig that raised the roof of the Old Fire Station. Marmozets are coming to the UK for a very brief tour at the end of October.